Democratic donor Mahendra Tak, lawyer Sheela Murthy, AAHOA’s Jagruti Panwala, NASA astrophysicist Madhulika Guhathakurta, Maryland Del. Aruna Miller, entrepreneurs Manisha Gaekwad and Ann Ramakumaran among honorees. 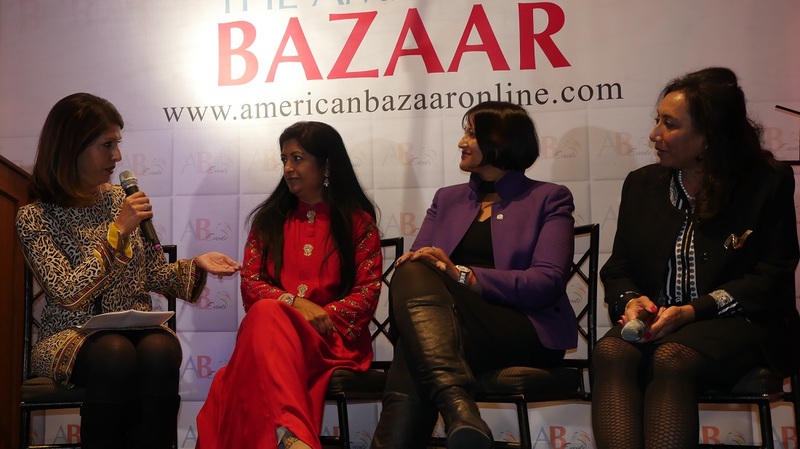 Eight prominent Indian American women in diverse fields, ranging from politics and business to civil rights activism and astrophysics, were honored at the inaugural American Bazaar Women Entrepreneurs and Leaders Gala held in Bethesda, MD, just outside Washington, DC. The honorees included well-known Indian Democratic Party fundraiser and art collector Mahendra Tak, renowned immigration lawyer Sheela Murthy, Vice Chairwoman of the Asian American Hotel Owners Association (AAHOA) Jagruti Panwala, and NASA astrophysicist Madhulika Guhathakurta. The event, held at the historic Congressional Country Club, featured dozens of Indian American entrepreneurs from the Washington, DC, area and around the country. Suman Raghunathan, Executive Director of the racial justice and civil rights group South Asian Americans Leading Together (SAALT), and other women leaders of the organization. Tak, a trailblazer for Indian American women in many fields, was honored for her contributions in the areas of politics, art and culture. One of the first Indian American women to serve in the United States military, the Bethesda resident is also among the first Indian American women fundraisers to make a mark nationally. As a donor and fundraiser, she has supported and mentored a generation of Indian American politicians and elected officials. Even though she is a Democrat, the radiation oncologist has raised money for candidates from not just her party, but also for such prominent Republicans as former Louisiana Gov. Bobby Jindal and former South Carolina Gov. and the current US Ambassador to the United Nations Nikki Haley. Murthy, an alumnus of the Harvard Law School, is the founder of the Owings Mills, MD, -based Murthy Law Firm, one of the largest immigration practices in the country. She exhorted the audience consisting mostly of women to think positively. “I look at being a woman, being an immigrant, and a person of color as the three biggest attributes — rather than looking at them as three strikes against me — looking at them as three biggest attributes that helped make me unique and special and different,” she said. Panwala, based in Bensalem of Pennsylvania, is a second-generation hotelier and the first female officer in the nearly three-decade history of AAHOA, the largest and most influential trade group from within the community. Next year, she will take over as the first chairwoman of the group, which represents nearly 18,000 hotel owners, who control almost one in every two hotels in the country and employ hundreds of thousands of people from coast to coast. At a fireside chat with prominent journalist Aziz Haniza, Executive Editor of India Abroad, Panwala spoke about a number of issues, including her women’s roles in AAHOA. Astrophysicist Guhathakurta, who was born in Kolkata, is one of the most prominent Indian Americans in NASA. Currently, she is a lead program scientist for the agency’s “New Initiatives in the Exploration Technology Directorate” at its Ames Research Center in Moffett Field, CA. Last year, during the historic solar eclipse, she served as a lead scientist on the team that studied the eclipse. Miller, the first Indian American woman to serve in the Maryland House of Delegates, was one of a number of Indian American women who ran for Congress in the just concluded midterm. Gaekwad and her husband, Danny, started their business career in the late 1980s when they bought a convenience store in a remote suburb of Orlando. Over an eight-year period, they built and sold 26 stores across Florida. In the next two decades, they launched more than a dozen ventures in multiple fields: real estate, hospitality industry, banking, and information technology. Today, the combined value of those ventures is several hundred million dollars and the properties the two own include premium brand hotels such as Intercontinental Hotel Group, Carlson Hotel Group and Hilton Hotel Worldwide; and apartments, residential lots, golf course lots, restaurants, camp grounds, car washes and commercial retail sites across Florida. Ramakumaran founded Ampcus, a consulting, professional services and technology firm, in 2004. For 10 consecutive years, her company has been recognized as a top Asian American owned business by the US Pan Asian American Chamber of Commerce. SAALT, based in the Washington area, has been on the forefront of the immigration debate in the past three years, advocating more humane policies. It has documented hate violence and xenophobic rhetoric against South Asians and other minority groups in the past two years and hosted a number of events to highlight the issue. Dozens of prominent women entrepreneurs from across the country, executives of Fortune 500 companies, political and thought leaders, and leaders from the nonprofit world attended the Women Entrepreneurs Forum and Leaders Gala. It featured a number of breakout sessions, workshops and panels throughout the afternoon and evening. A workshop on “Innovation and creativity with respect to entrepreneurship” was conducted by Dr. Mahesh Joshi, Director of Research & Practice at the George Mason University’s Center for Innovation & Entrepreneurship. The Washington, DC, chapter of The Indus Entrepreneurs (TiE DC) hosted a mentoring session, featuring Murthy, its president, and two other prominent women entrepreneurs from the area: Smita Siddhanti, TiE President-elect and President & CEO of EnDyna, a McLean, VA, -based company; and Kay Ramesh, President and CEO of the Reston-based CTEC. A panel on developing business featured Lata Sharma, CEO of the Atlanta-based myKlosets LLC & ImSafe Now and Nazia DeFrank, CEO & Founder of Gourmet Ghee Co., New York. It was moderated by Juhi Naithani, Manager, International Business Development, Fairfax County Economic Development Authority. The evening gala celebrated entrepreneurs and leaders from the Indian American community that have blazed trails. Among the highlights were two panels, one on women in politics and policy, and the other on successful women business leaders. 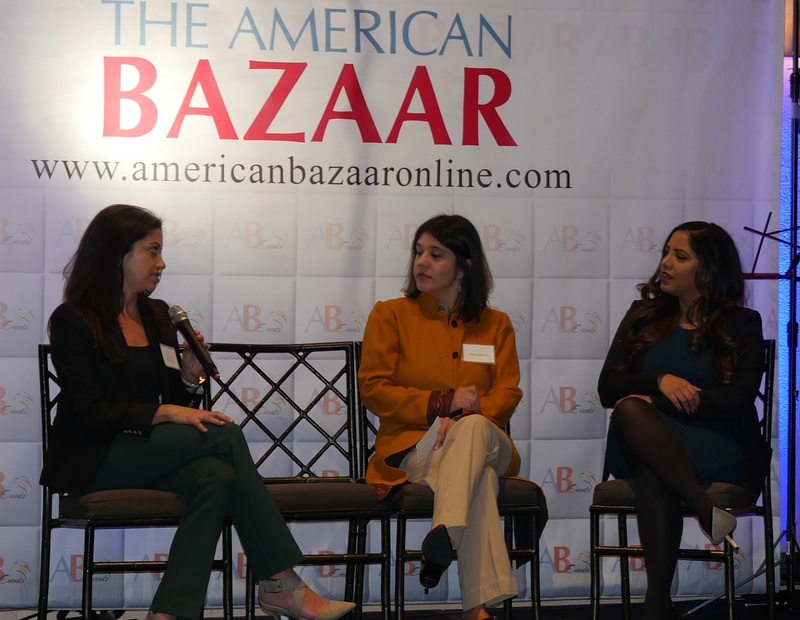 The first panel featured Persis Khambatta, a Managing Director at BowerGroupAsia, and Rina Shah, Managing Director of Red Fort Strategies in Washington, DC. It was moderated by Tanvi Madan, head of The India Project at Brookings Institution. The panelists on the second panel were Ramakumaran, Siddhanti and Pallabi Saboo, CEO of Harmonia Holdings, based in Blacksburg, VA. The panel was moderated by Monika Samtani, President of Ms. Media in Washington, DC. Other speakers included Venky Raghavendra, vice president of the Safe Water Network, and Pawan Bali, a journalist and documentary filmmaker.